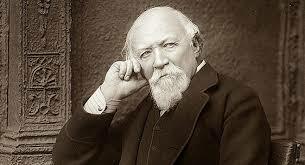 Caliban upon Setebos is one of the most celebrated and complex poems by Romantic poet Robert Browning. 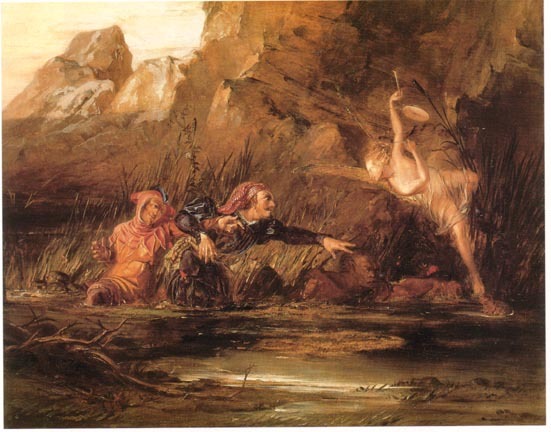 The poem is a dramatic monologue in which Browning has chosen Caliban from Shakespeare’s The Tempest as the speaker. The poem was published in Dramatis Personae in 1864, which was a time of chaos as Darwin has just presented the theory of evolution. People were confused as their beliefs about their existence were being challenged. Browning has resonated the same theological questions through this poem. The dramatic monologue- Caliban upon Setebos by Robert Browning opens with the narrator Caliban introducing himself. 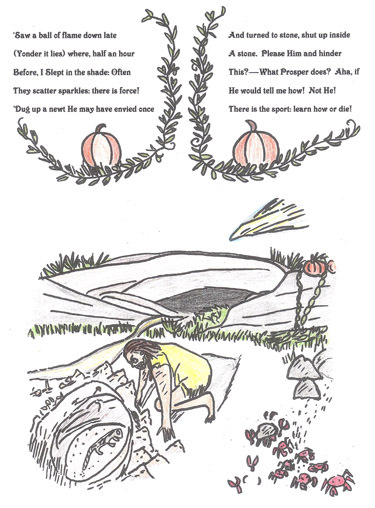 He tells the readers that his master Prospero and his daughter Miranda are sleeping which makes it a good time for Caliban to enter a cave without them noticing. As he enters the cave, he starts speaking and opens by telling that Setebos is the creator of creatures like him. Caliban continues to identify the nature of Setebos. He says that because Setebos is his creator, he is responsible for his misery and pain. He argues that if Setebos had to create the world for the sake of the creation of the world itself. Probably he did this because he was being ill at ease and had to make a world full of inferior creatures. To understand this better, Caliban makes an attempt at being Setebos himself. He takes a fruit and turns it into a mash, exclaiming that he has been able to create something that did not exist earlier, making him almost equal to Setebos in this position. He then imagines a situation where he will make a bird from clay and that bird can fly. However, when he tries this in reality, the bird “lay stupid-like” on the ground. This intrigues the imagination of Caliban further and he starts to question the motives of Setebos behind creating a world that is full of pain and misery for him. He feels that Setebos has no moral sense, because of which he created a world where people are in pain. Maybe he finds pleasure when he sees the pain of others. Not longer after Caliban has this idea, he raises a very important question about divine power. Caliban says that just like he is inferior to Prospero, maybe Setebos is also inferior to a much higher and more divine power. He builds a hierarchy of power and divinity, placing himself at the bottom of it, and questions the nature in which humans exist. Caliban muses over the superiority of Prospero over him and thinks that maybe the world was created this was by Setebos because he is himself inferior to the supreme divine power. He claims that it is a worthless design because one hurricane can affect the planning of the next six months for a man. Towards the end, thunder starts to rumble and Caliban sees a raven flying. He thinks that Setebos might punish him for these musings and resumes to being the inferior creature. Caliban upon Setebos is a highly celebrated creation of Robert Browning as many experts consider it a work of literature that presents a perfect balance between naturalism, theology and all other philosophies that sort to identify the nature and purpose of human life. The fact that Browning has selected Caliban as the speaker of this dramatic monologue speaks volumes in itself. Firstly, Caliban is a creature inferior to humans. But he has a very deep sense of identity because he experiences pain and suffering in the company of his master. The Caliban of Browning, however, is different from that of Shakespeare. Unlike the Shakespearean character, he is not meek and submissive but has a very strong sense of self-identity. He tries to understand the role that he plays in the world by questioning the reason for his creation. He is curious and intelligent enough to find a reasonable explanation for everything. However, his understanding of nature and divinity is limited by his own existence. He is suffering and so he envisions his creator to be a sufferer as well. Like Prospero is his master, he believes that Setebos also has a master over him. The views of Caliban about the natural as well as supernatural is dependent on the idea of hierarchy, something that he is himself a victim of in his life. Through the character of Caliban, Browning expresses his own resolution to the debate that surrounded him. He explains that the world and the divine power is going to be greater than the comprehension of humans and it is not possible for us to understand what it really is. However, each man will understand and imagine the divine power according to his personal nature like Caliban is doing here.